rice pakora recipe | chawal ke pakode | basi chawal ke pakode with detailed photo and video recipe. 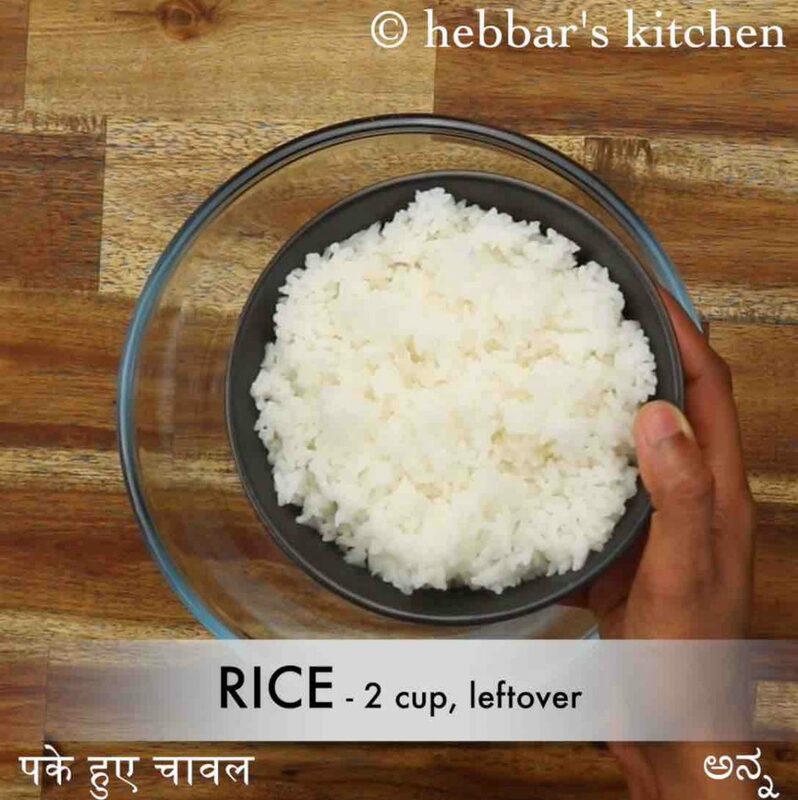 an interesting and appetising snack recipe made with leftover cooked rice and vegetables. 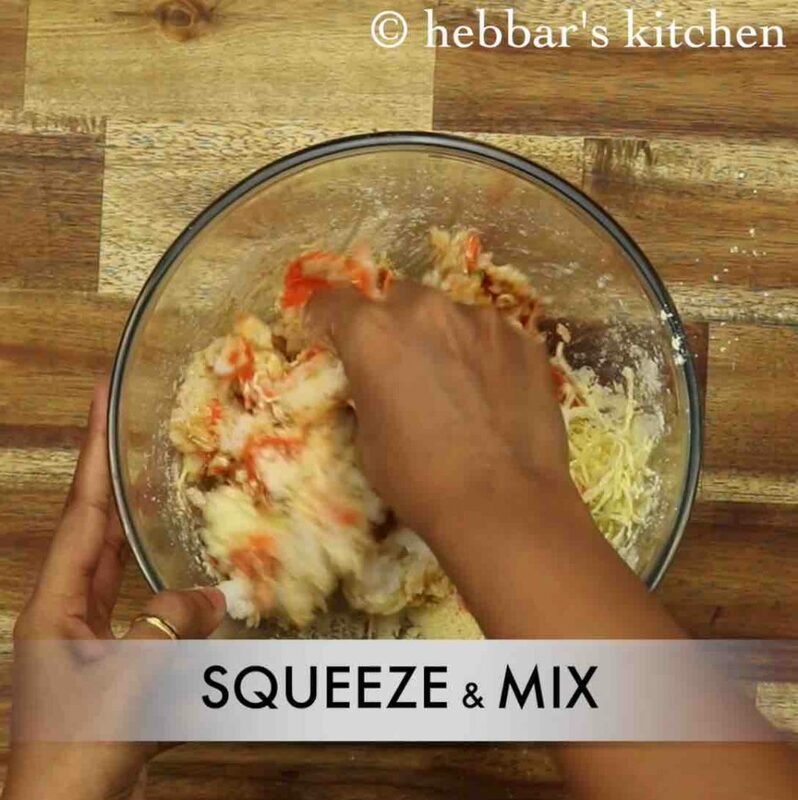 it is a popular urban snack recipe and is generally served as street food snack or appetiser just before the meal. while the snack by itself is lip smacking and does not require any side condiments, but taste great with choice of spicy sauces. 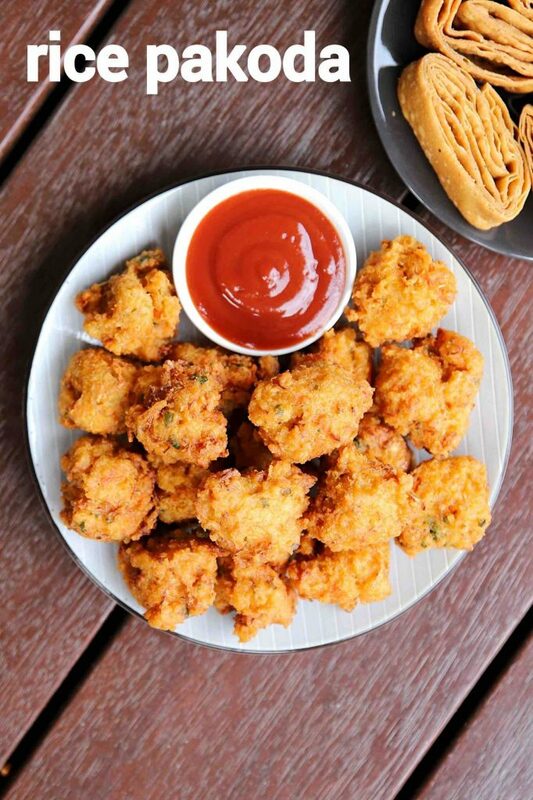 i have always been a great fan of deep fried and especially the pakoda recipes. basically, i do not seek any particular reason to make these and i make it with almost anything and everything. 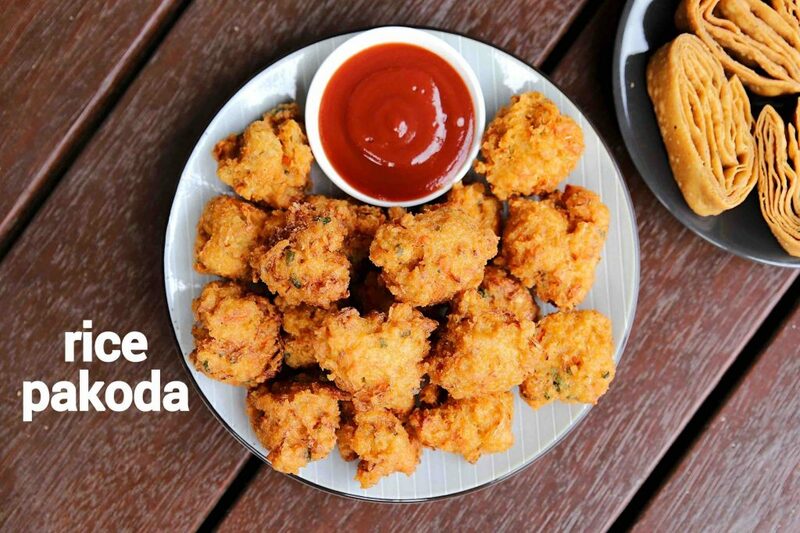 but this recipe of rice pakoda is very new to me and i was introduced to it very recently. as a matter of fact, one of my close friends had made this for our pot luck party. initially, i thought it must be made with besan or rice flour, but it was tasting a bit different. out of curiosity i asker her the recipe and i was surprised to learn that it is made with leftover cooked rice. it was having the crispiness of rice flour, at the same time it was moist with veggies added to it. furthermore, some easy and critical tips, suggestions and variations for a crispy and lip-smacking rice pakora recipe. 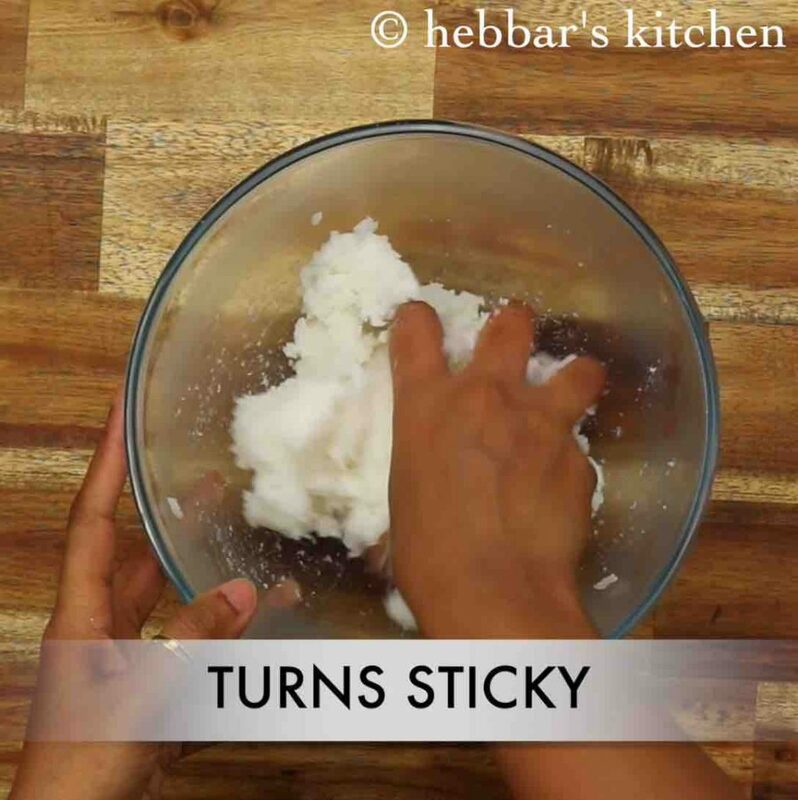 firstly, i would heavily recommend using leftover rice as they are dry, moisture-less and also more sticky. freshly cooked rice include more moisture and less sticky and evidently, you may find it difficult to mash it. 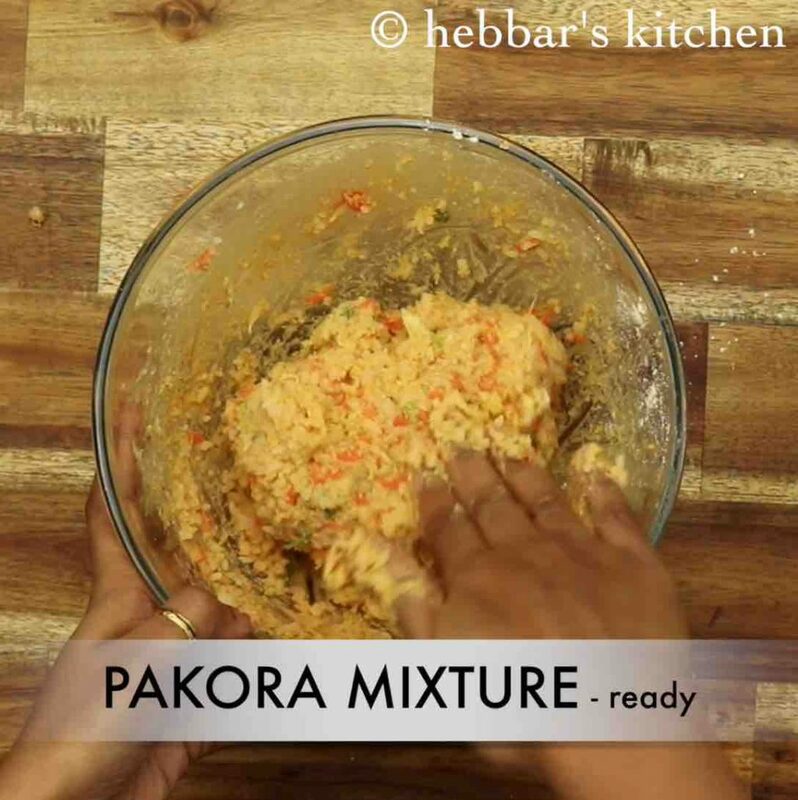 secondly, adding veggies to the pakora is open-ended and you can add veggies of your choice. i personally like the combination carrots, cabbage and onion, but you can add as per your preference. 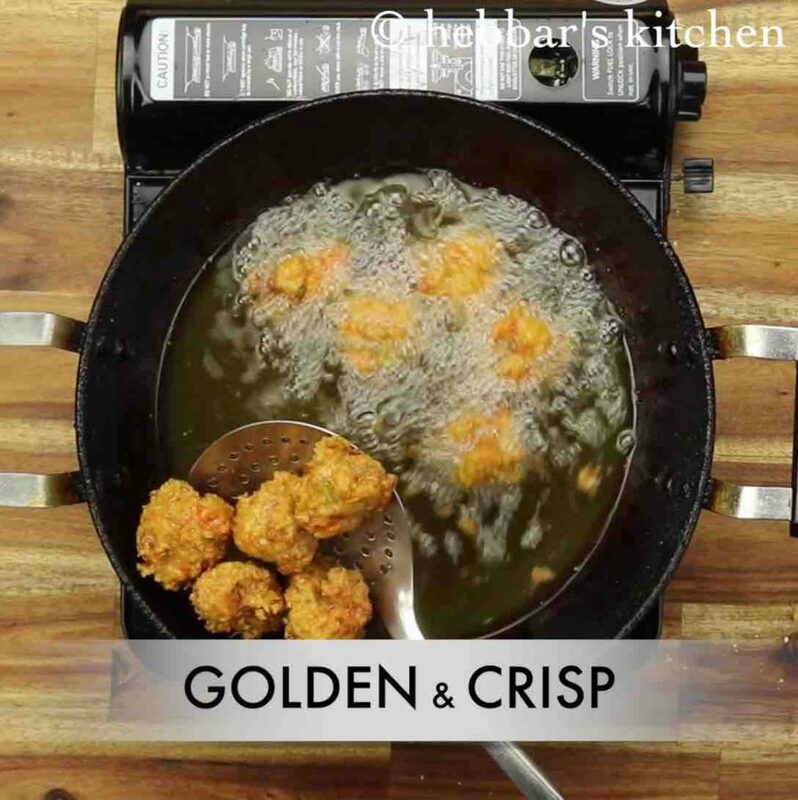 lastly, deep fry the pakora in low to medium flame so that it gets cooked evenly. also deep fry these in small batches and do not overcrowd in your frying pan. firstly, in a large mixing bowl take 2 cup cooked rice. mash gently making sure to form a smooth paste. 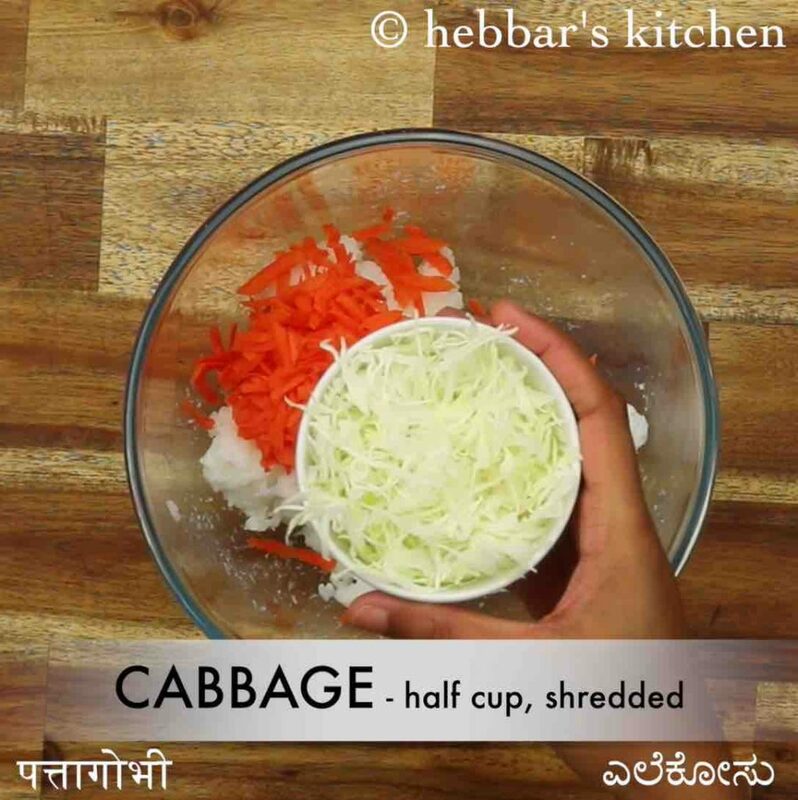 now add 1 carrot, ½ cup cabbage, 2 tbsp coriander, 1 chilli and 1 inch ginger. 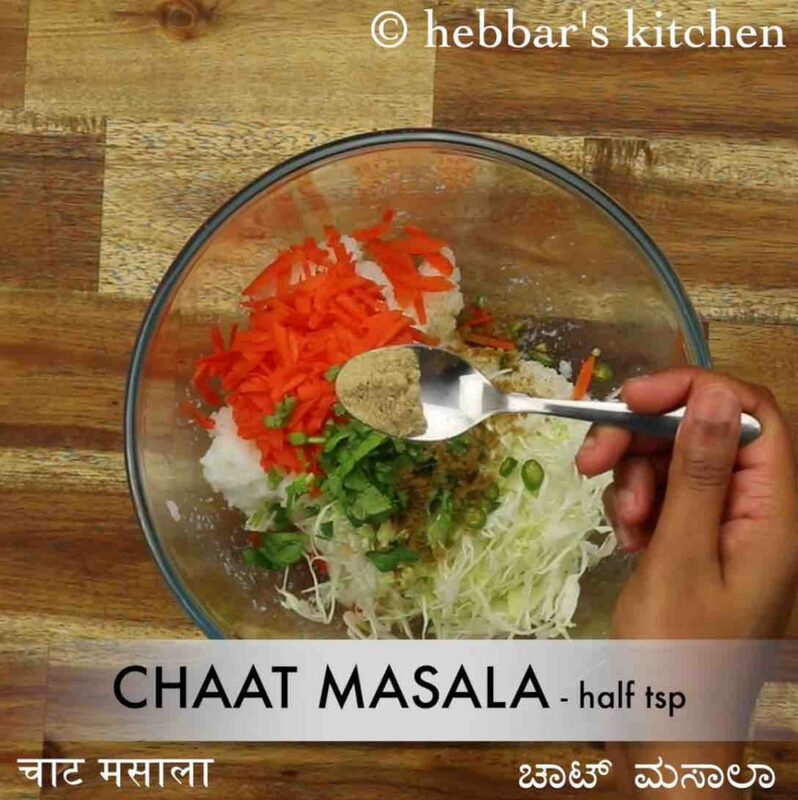 also add ¼ tsp cumin powder, ½ tsp chaat masala, ½ tsp chilli powder, ½ tsp salt and ½ tsp pepper. 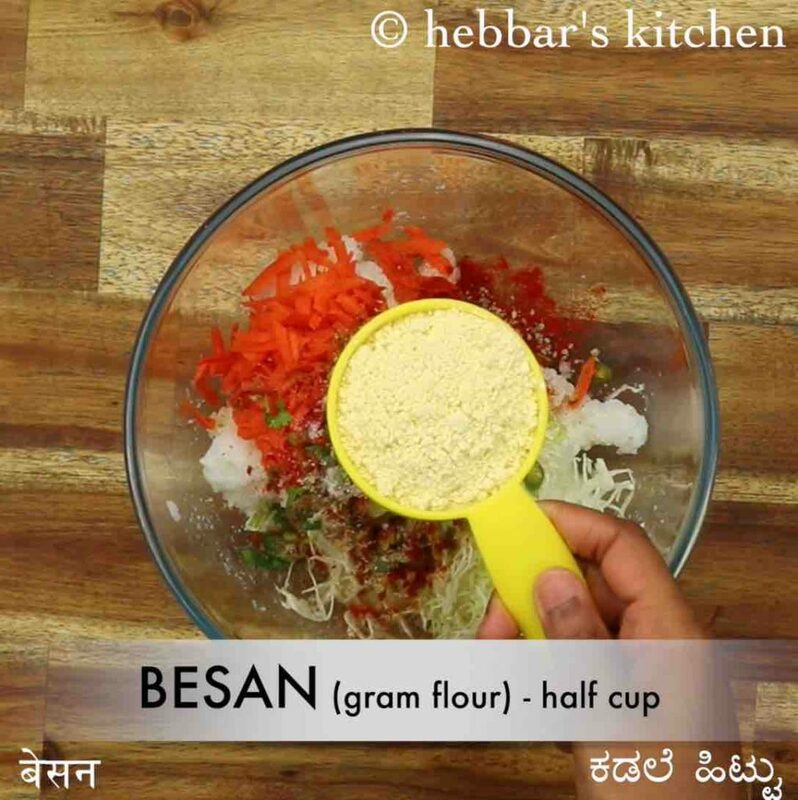 additionally, add ½ cup besan. squeeze and mix well making sure all the spices are combined well. 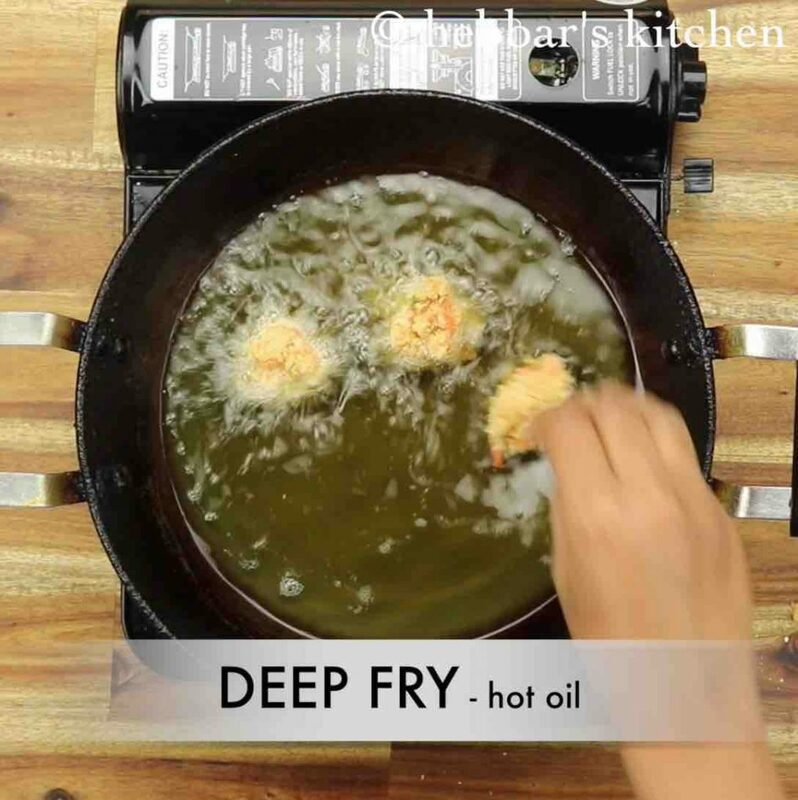 deep fry pakode in hot oil giving a shape of your choice to pakora. stir occasionally, frying on medium flame until it turns golden brown. finally, enjoy bache hue chawal ke pakode or rice pakora with tomato sauce. firstly, in a large mixing bowl take 2 cup cooked rice. make sure to take leftover rice. 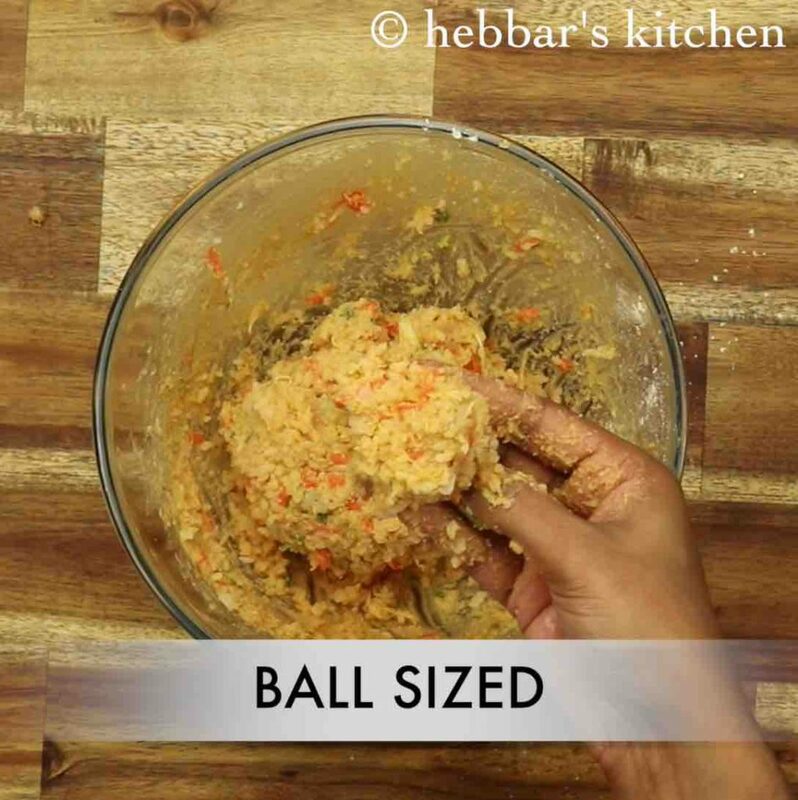 form a moist pakoda mixture. grease hand with oil and pinch a small ball sized dough. 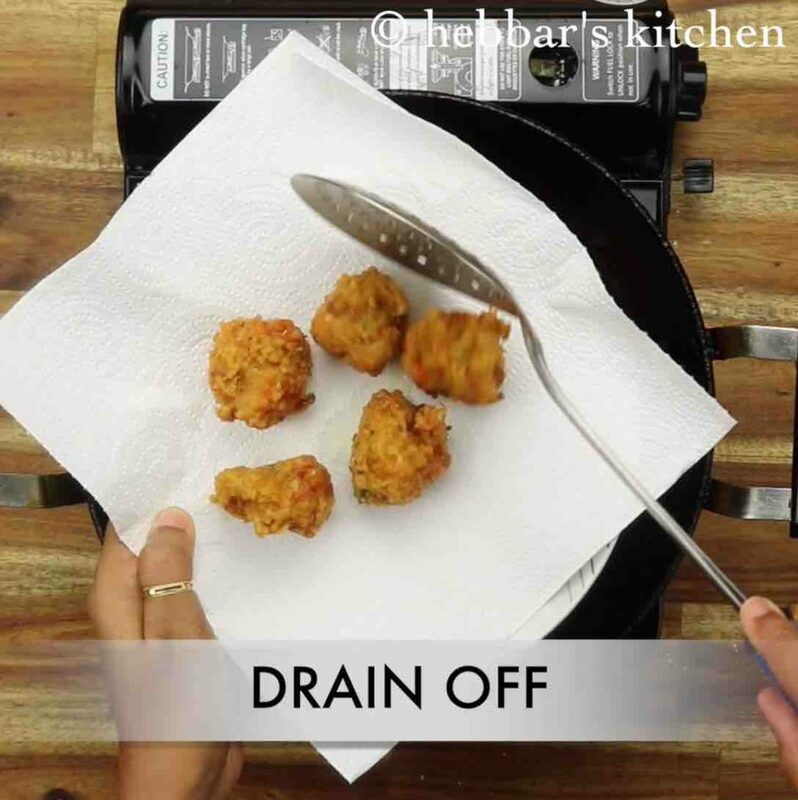 deep fry in hot oil giving a shape of your choice to pakora. drain off over kitchen paper to remove excess oil. firstly, use leftover rice for crispy pokoda as they will be easy to mash. 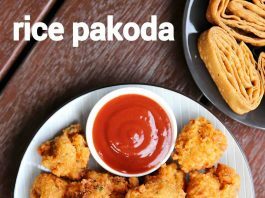 also, add vegetables of your choice to make pakode more nutritious. additionally, prepare small ball sized else it will not turn crispy. finally, bache hue chawal ke pakode or rice pakora recipe tastes great when served hot and crispy.